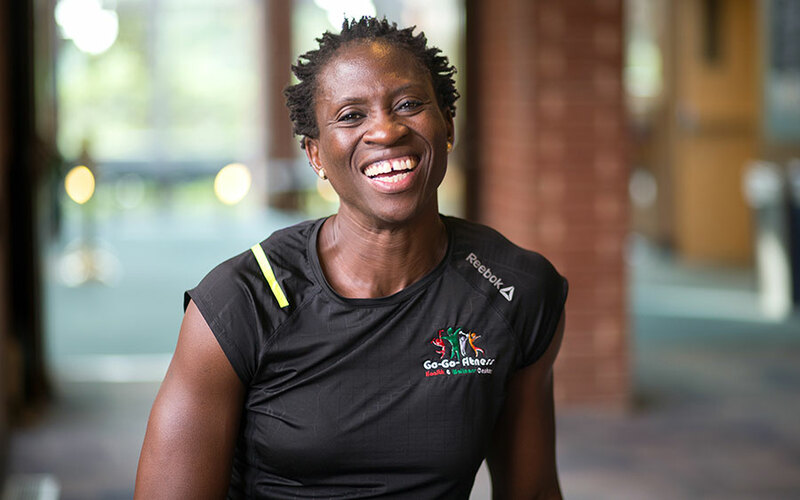 Two-time Olympic athlete Ngozi Mwanamwambwa Asinga (US’89, C’93) was recently featured on CNN’s African Voices series, a collection of videos showcasing some of the continent’s contemporary change-makers. Principia provided yearbook and historic photos of Ngozi to CNN, and the video shows several shots of her wearing her Principia jersey on her way to becoming a seven-time NCAA Division III All-American in track. While competing at Principia, she earned top-three finishes in the 100-, 200-, and 400-meter races, and was the 1992 U.S. National Champion in the 200-meter. Ngozi graduated a year later and set her sights on the 1996 Olympics in Atlanta, where she ran her best time ever in the 400-meter race. Later, she earned an MBA in international business from Samford University in Birmingham, Alabama. During this time, she also met her husband, three-time Olympian Tommy Asinga, who is originally from Suriname. Ngozi recently visited both the Upper School and College while bringing her daughter, Busiwa, to board at the Upper School. While in the area, coaches on both campuses invited her to speak to athletic teams during preseason training. “I encouraged the student-athletes to practice Christian Science on the field and to set very high goals,” she says. “Who would ever think that I could compete in the Olympics as a Division III athlete? I shared my tremendous gratitude for my time at Principia. I am who I am today because of Prin, and it remains very special to me.” Ngozi did not shy away from tough topics, drawing on the recent controversy with American Olympic swimmers to remind students that “honesty and humility are crucial in sports and in life,” as she put it.